Mama Space will take you through 30 soul-supporting days of self-care, strengthening and renewal. It will bring you back home to self and seriously revolutionize your mothering! Whether you are a working or a stay-at-home mama, creative or entrepreneurial, outspoken or quietly expressive, wild or delicate, exhausted or bounding in energy (or anything in between) the Mama Space practice belongs to you. The fully-downloadable, easily-printable package comes straight to your inbox immediately, so you can carry it with you wherever you are, and give you the power of radical self care, every day. 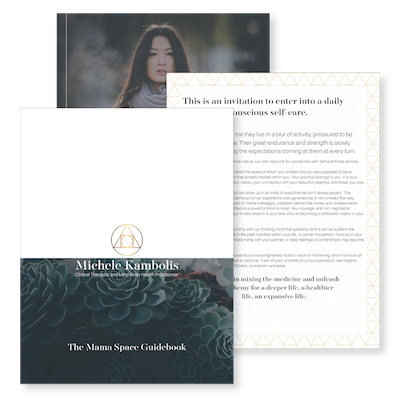 The Mama Space Self-Care Guidebook will support you through every step of your practice and journey with this immersive package. With vital tips from wisdom practitioners around the world, it will support you to get the most out of the transformative practice of self-care and conscious mothering. Through the Guidebook you’ll discover the benefits of each element of the Mama Space Practice and the key elements that will help keep you committed. Delve deeply into self with the Conscious Mothering Journal. 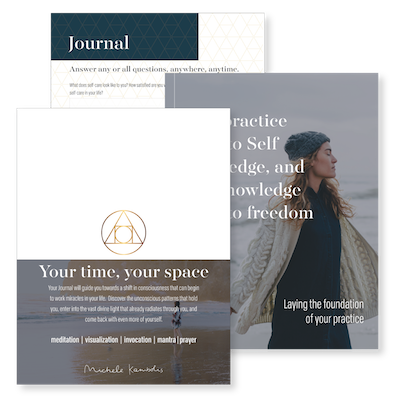 From the foundation of the meditations and Mantra Cards, the Journal will help you to externalize and challenge your perceptions and internal stories. The questions were systematically chosen to invite self-discovery and challenge unconscious patterns. It will help you to reclaim a deeply honouring and joy-filled relationship with yourself and your child. With two beautifully produced guided meditations, you will clear mental accumulation, restore balance, and open new portals to your mama wisdom. In this daily guided practice, you will build your meditation muscles, with each meditation supporting you towards being passionately and peacefully present. 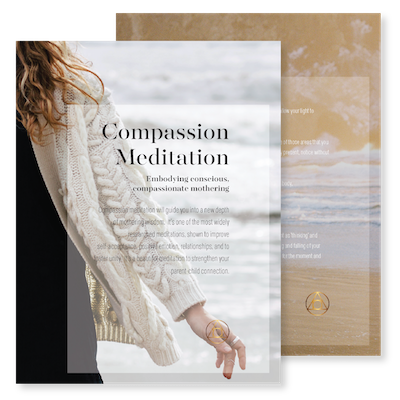 These printable scripts of the guided meditations mean you can take your meditation practice on the road (literally, in your glove box!) for those times when you don’t want to (or can’t) be connected to your phone. Slip them in your weekend bag, tuck them into your bedside drawer, or place them in your carry-on bag for that long-haul flight, so that your practice is with you wherever you are. Your daily mantras become the architecture of your mind. Be inspired to live a deeply meaningful life through the Mama Space daily mantra cards. You’ll receive 30 mantras for 30 soul-supporting days of conscious change. Each mantra will open up new possibilities, rewire the internal workings of your mind, and bring you back to your true magnificence. In the last few years I have had hundreds of deep-dive discussions with mothers about the things that matter most to them. I’ve witnessed a major shift in the collective female consciousness: a determination and a commitment towards challenging the restrictive and harmful collective patterns that have led to overwhelming suffering. We want less chaos and more tenderness. We yearn for a more compassionate relationship with our Self, our partners, and especially, our children. But in the pressure to be all things to all people, our endurance and strength is slowly depleted. At times we feel devoured by the unconscious expectations coming at us at every turn. We feel the loss of our feminine nature, our vital resource for connection with ourselves and those we love. If we are to create meaningful change, we need to be able to take care of ourselves—to be still, present, and give ourselves profoundly compassionate attention. The Mama Space Kit is your invitation to a dedicated practise of self-care and conscious mothering. It’s based on mind-body health practices I have used for decades both as a personal refuge and in my work with mothers. The tools are beautifully supportive, systematically chosen, and deeply honoring. The meditations, mantras, and journaling questions are a path towards greater presence, fulfillment, and connection. It will help you narrow the gap between what you want and what already perfectly is. May you be passionately present, and may you be in each moment deeply. Take the first step toward a massive shift your consciousness, and revolutionize your mothering with us. Become a mind-body health insider by joining our community. We’ll let you know as soon as the Mama Space package launches, and send you special insider details – you’ll be glad you signed up!